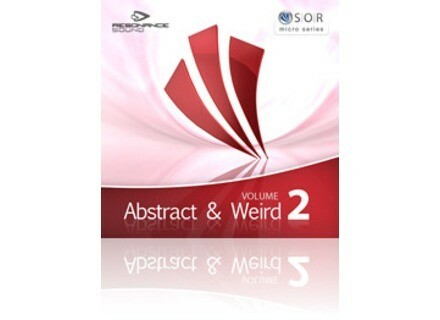 Abstract & Weird Vol.2, Noise/Sound Design Sample from Sounds of Revolution. Here's the second episode of 'Abstract & Weird', programmed by Oliver Schmitt aka Sounds of Revolution, and distributed by Resonance Sound. All loops are at 127bpm for integration into common electronic genres, and all are available in various sampler formats. A free sample pack is available. 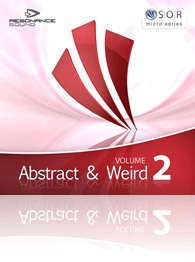 Format: 384 MB sample pack, 24-bit Wavs (213 MB/200 files), plus REX (Stylus RMX ready), plus EXS24 & Kontakt 4 Patches. Cost: Download 16,80 Euro plus VAT. White Noise GMS v1.0.2 White Noise has updated Genome MIDI Sequencer to version 1.0.2. DDMF LinComp DDMF has released LinComp, a new linear phase multiband mastering compressor plug-in for 32- and 64-bit Windows and Mac OS X in VST and AU effect plug-in formats. AfroDJMac Operator Glitchy Drums AfroDJMac has released Operator Glitchy Drums, a new download in the series of weekly Ableton Live Rack freebies.